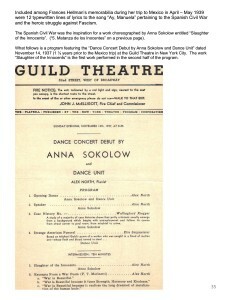 We have exciting news from our archives! 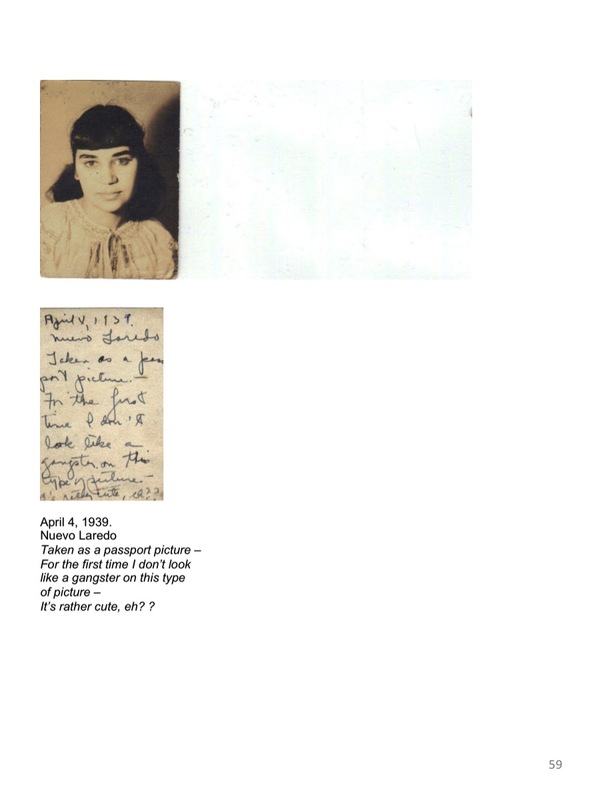 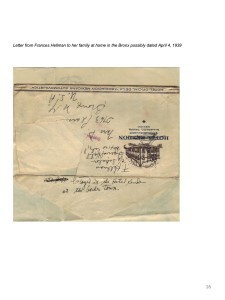 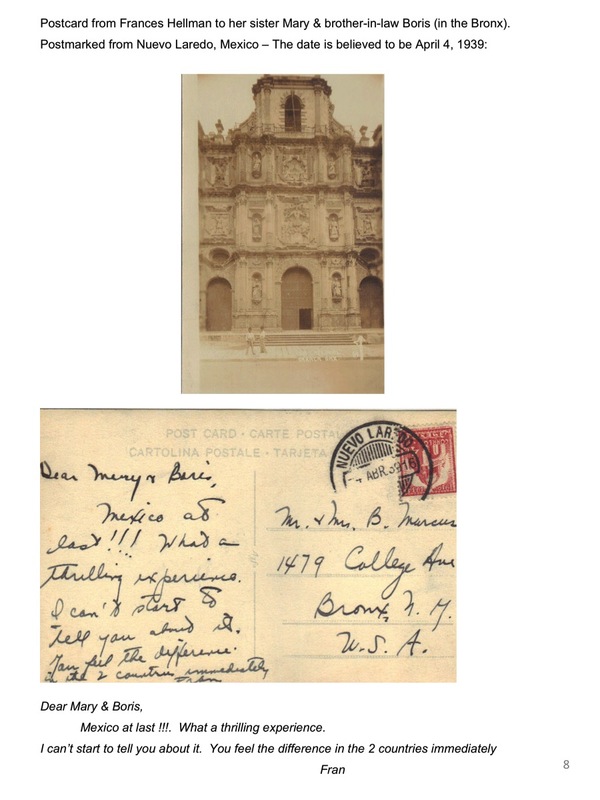 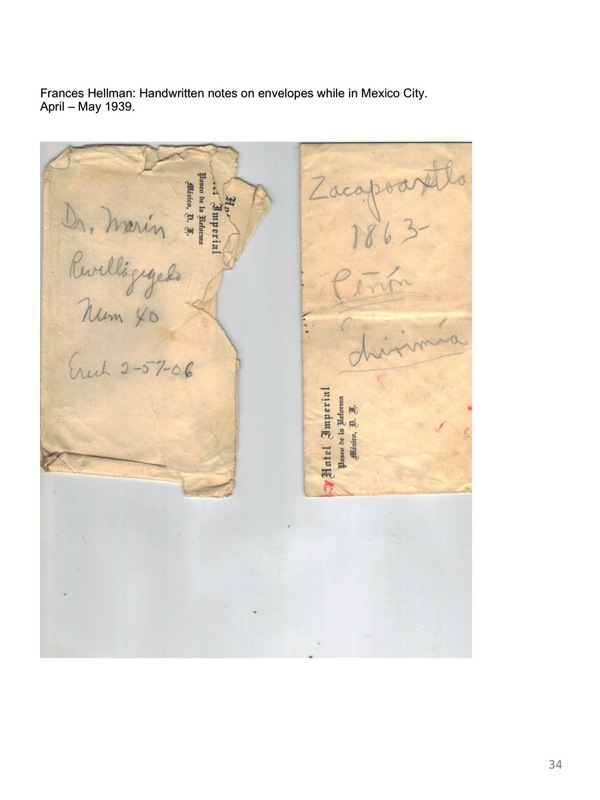 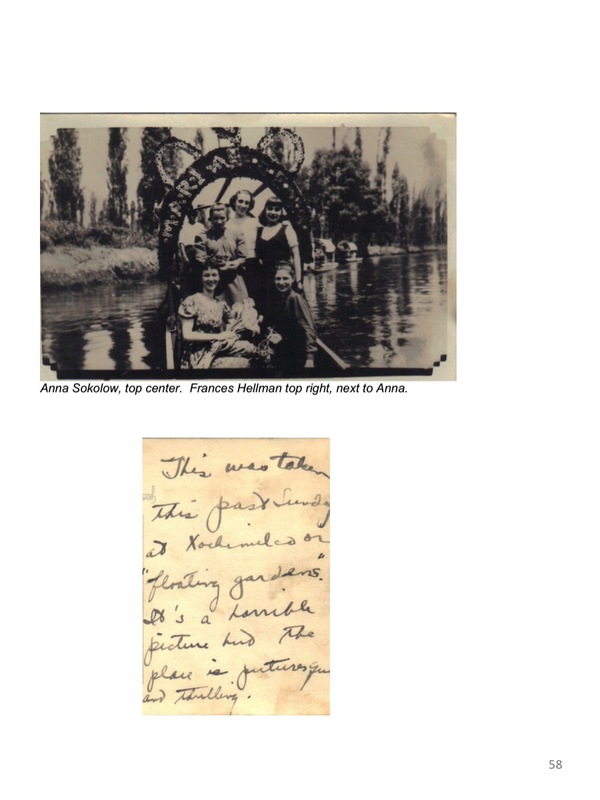 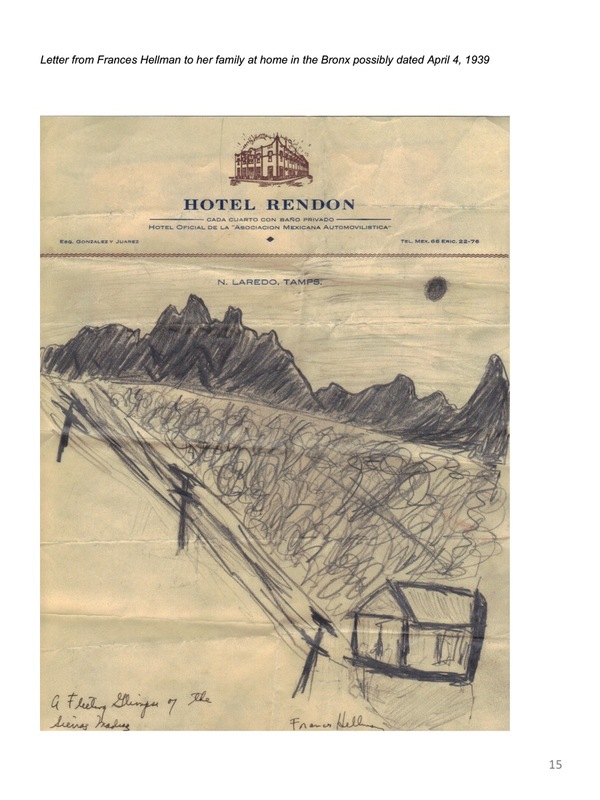 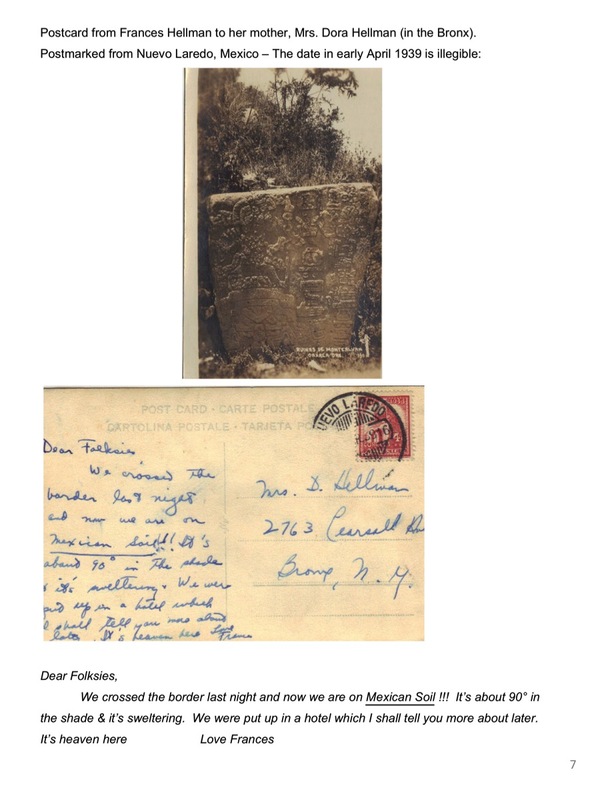 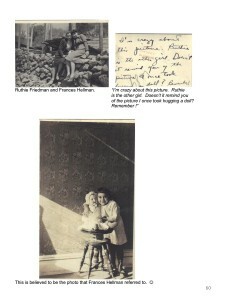 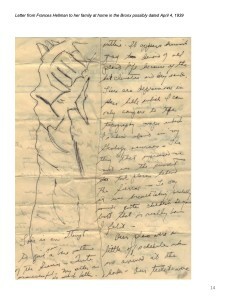 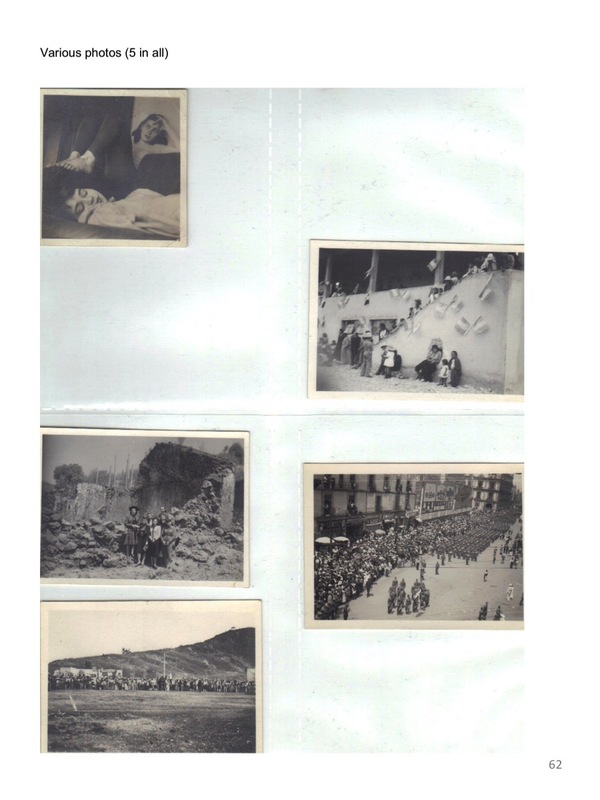 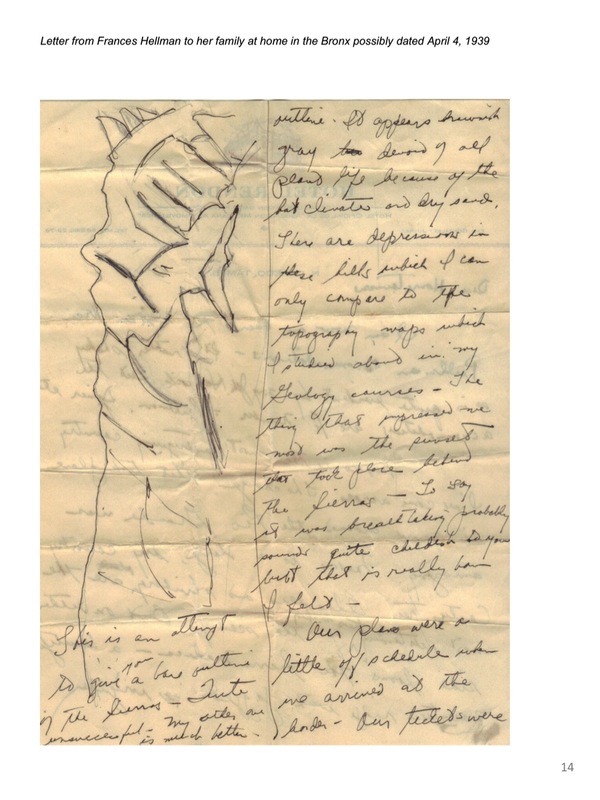 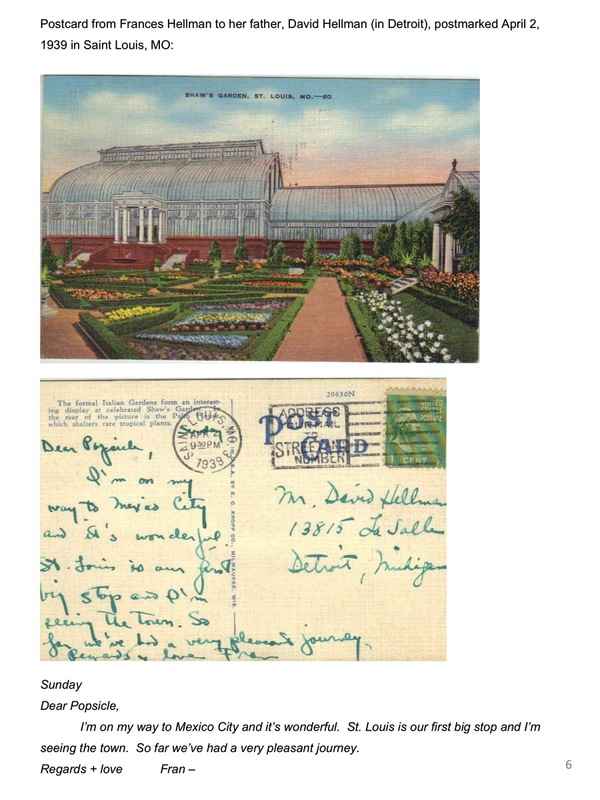 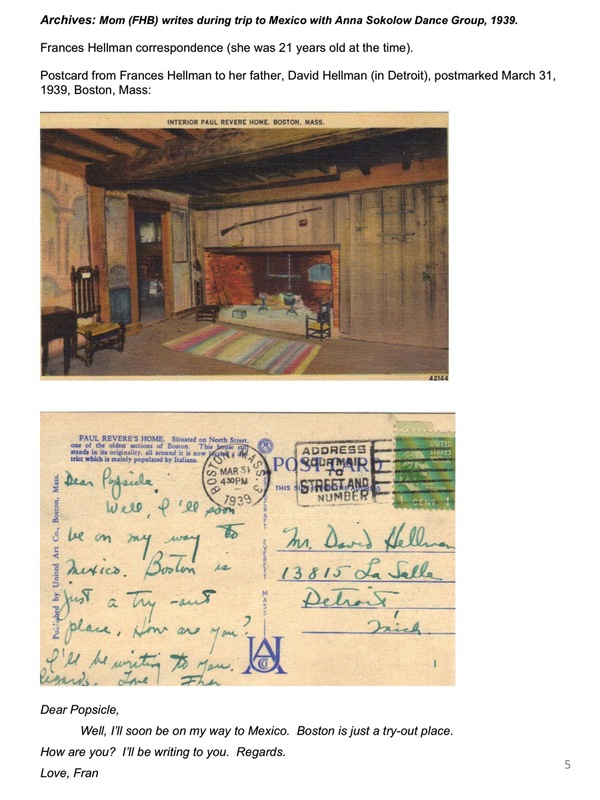 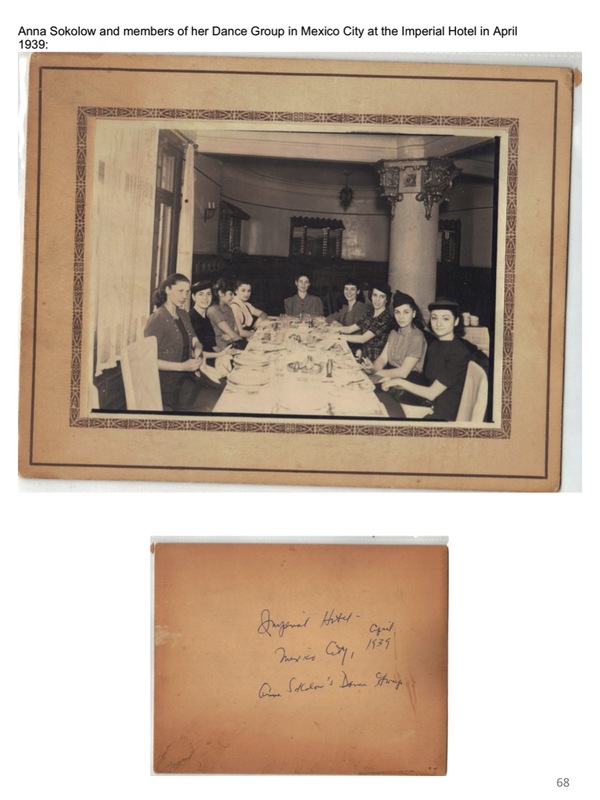 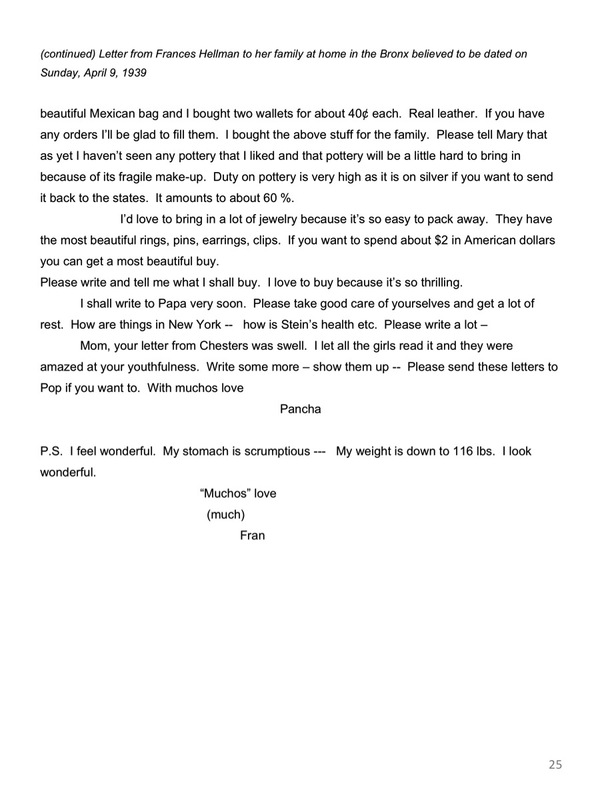 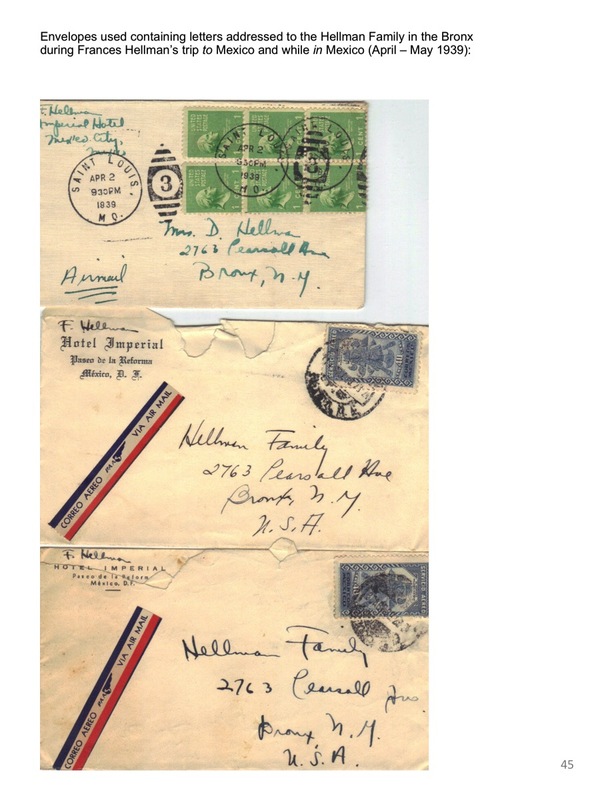 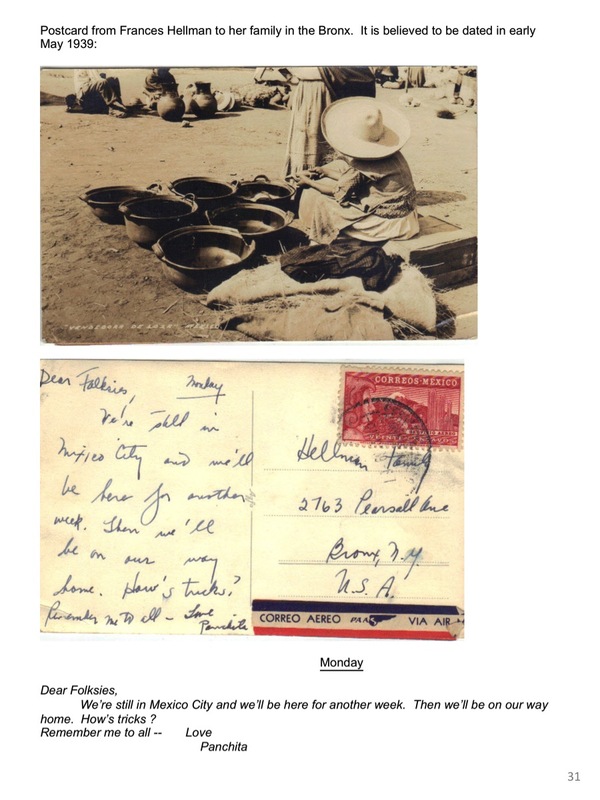 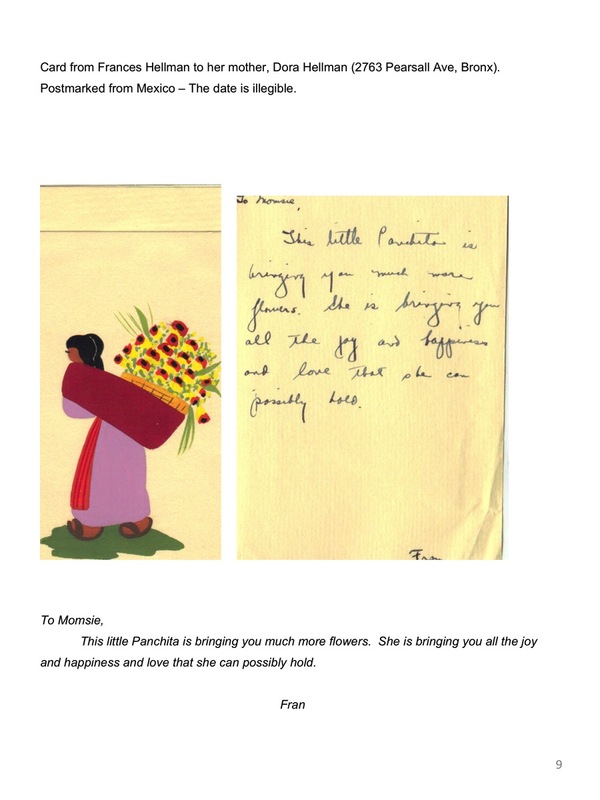 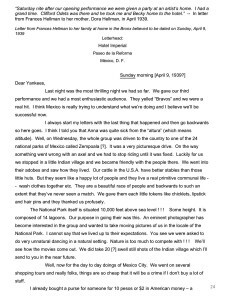 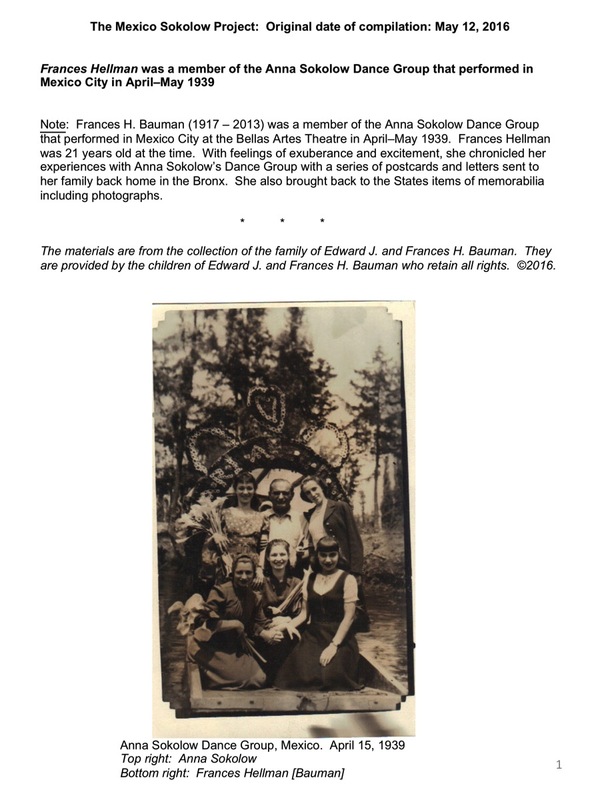 Thanks to the children of Edward J. and Frances H. Bauman, we are thrilled to share with our friends recently uncovered 1939’s letters, photos, etc. 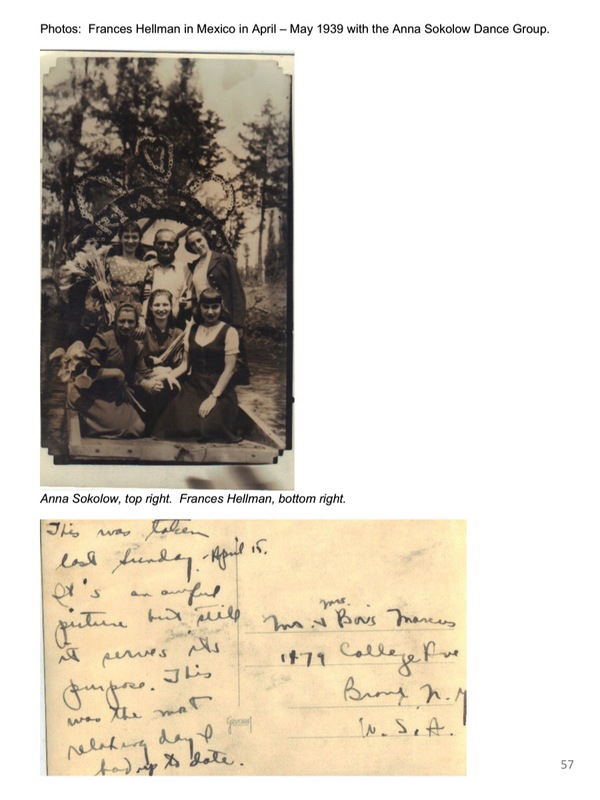 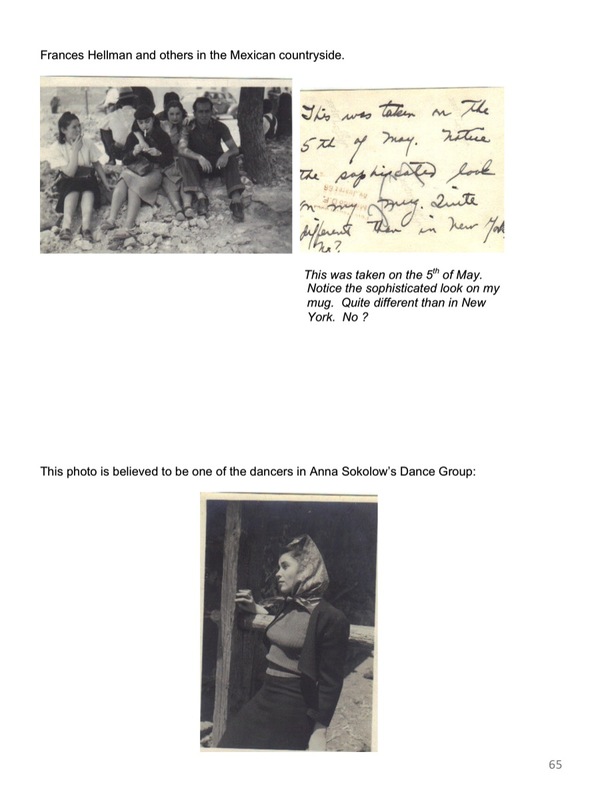 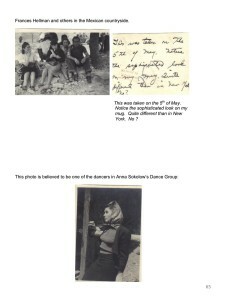 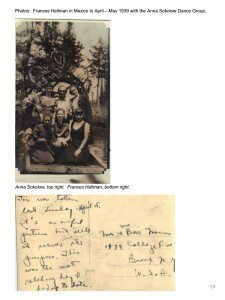 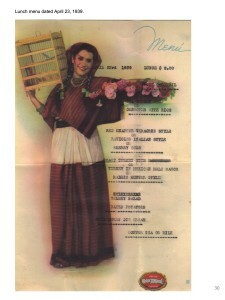 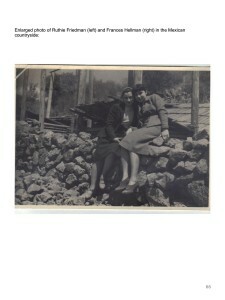 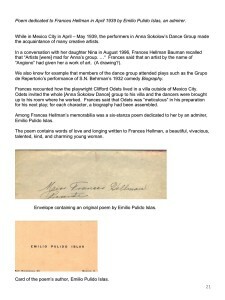 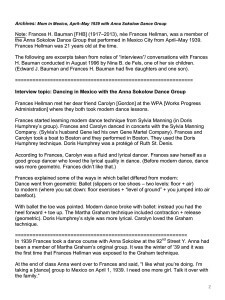 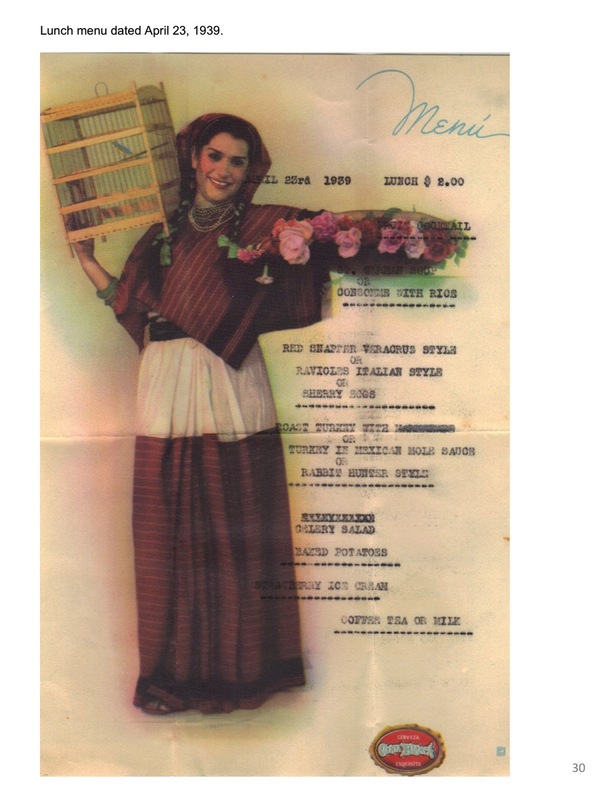 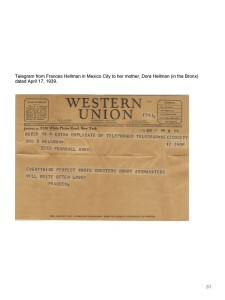 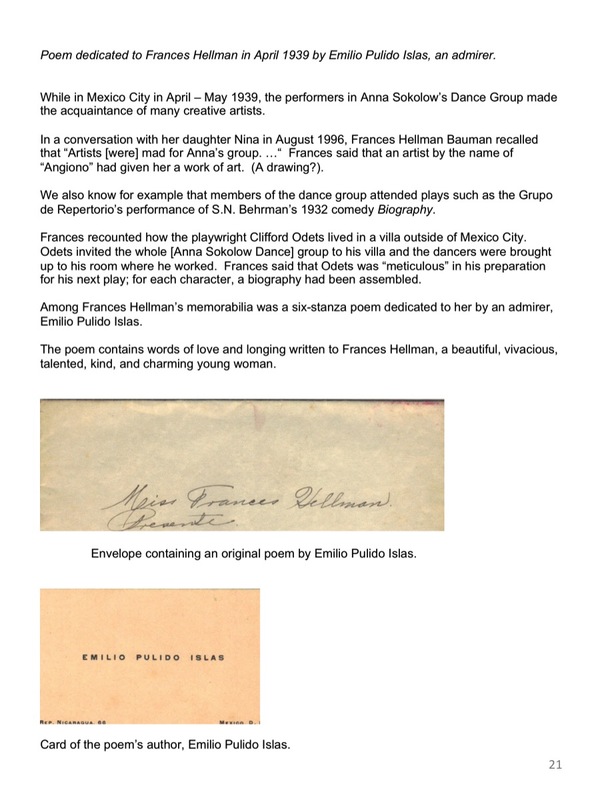 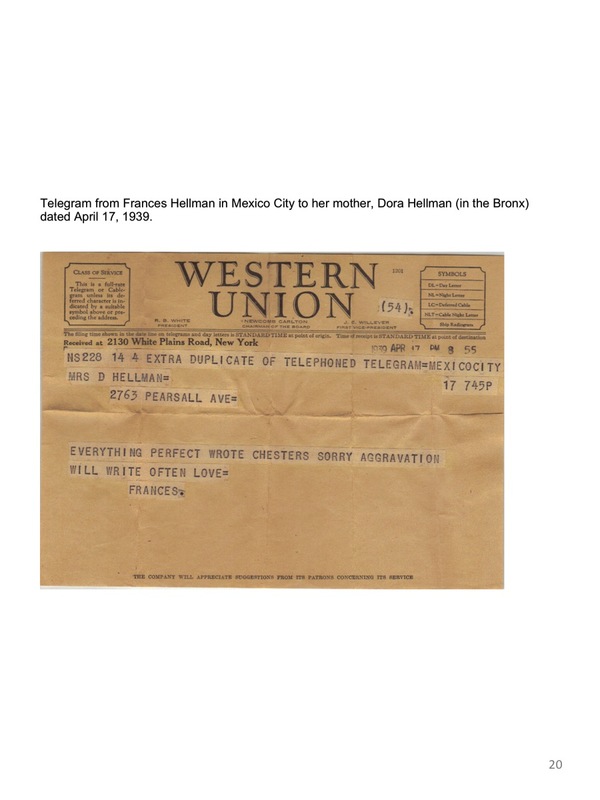 of Frances Hellman Bauman, then a young dancer in the Anna Sokolow Dance Group. 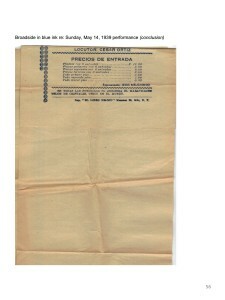 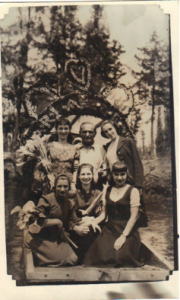 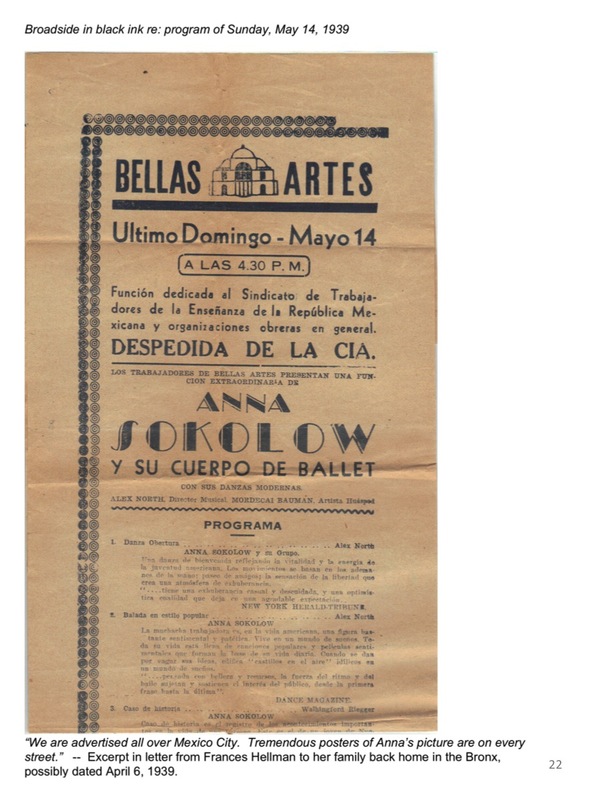 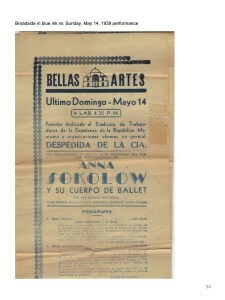 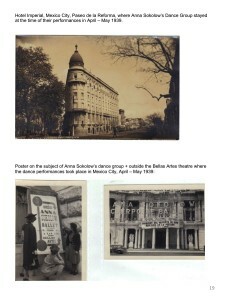 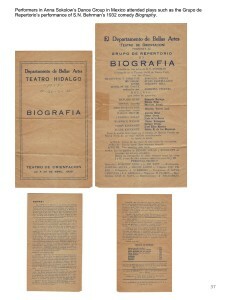 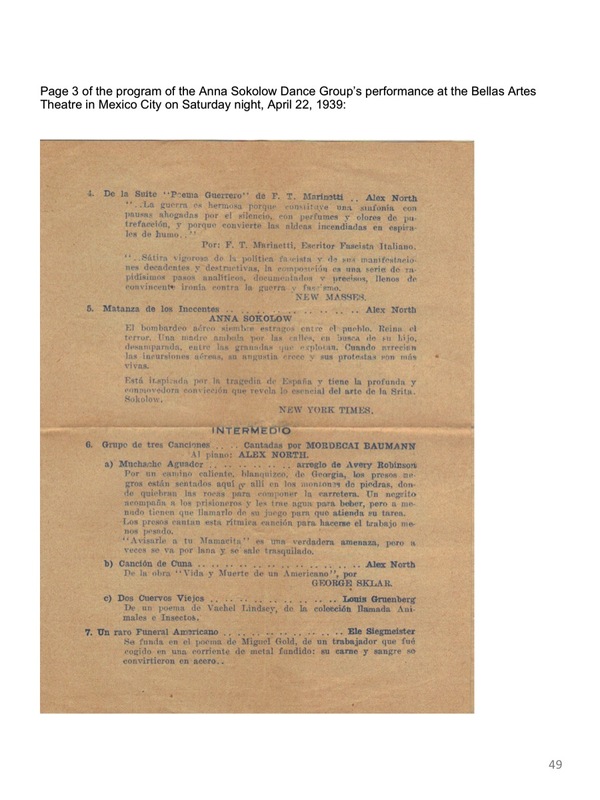 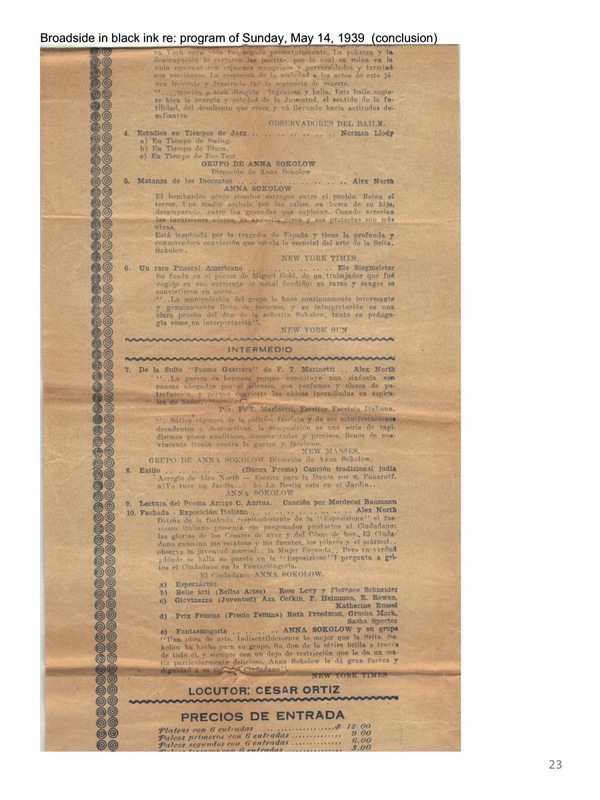 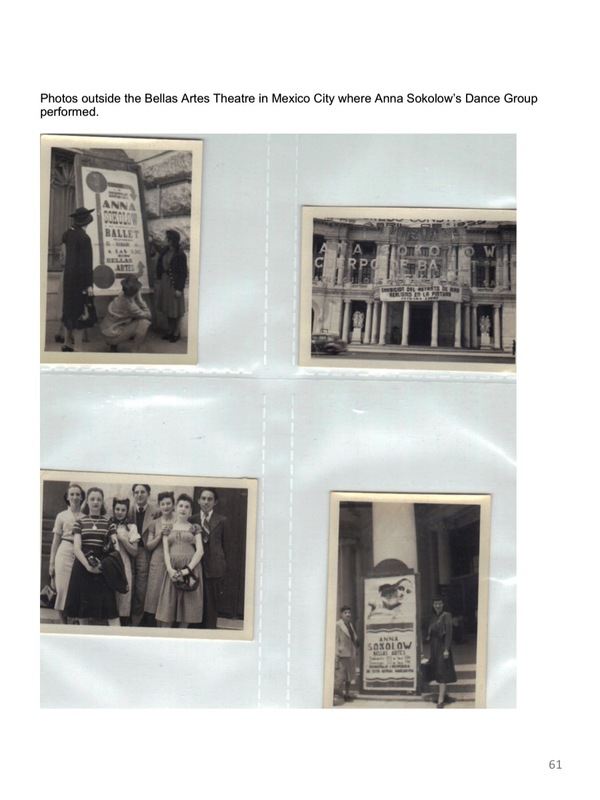 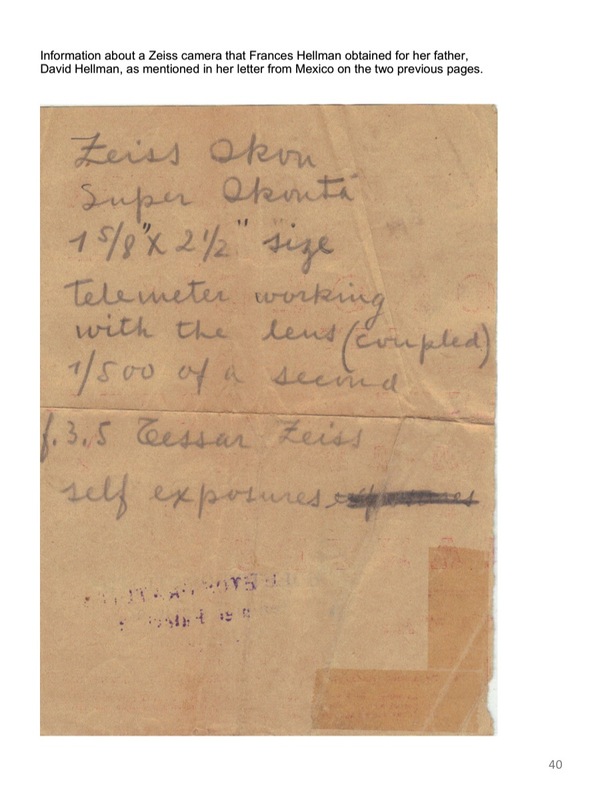 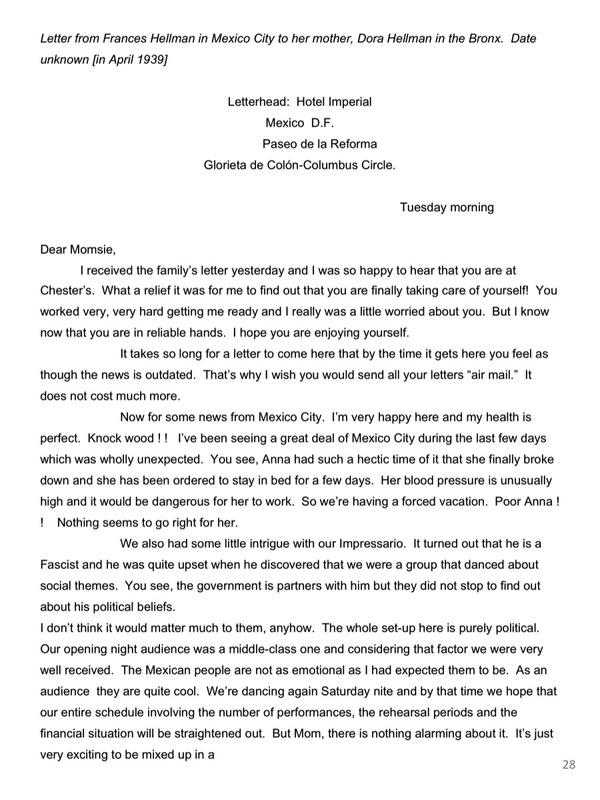 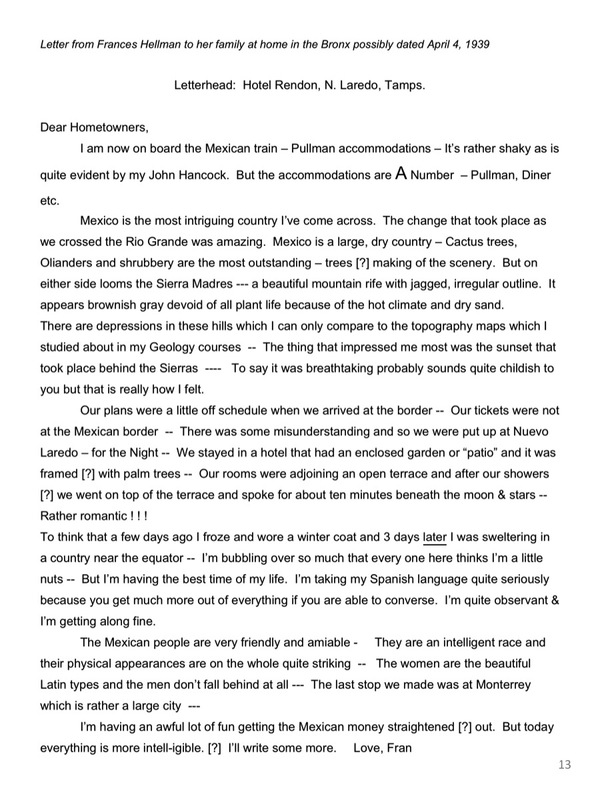 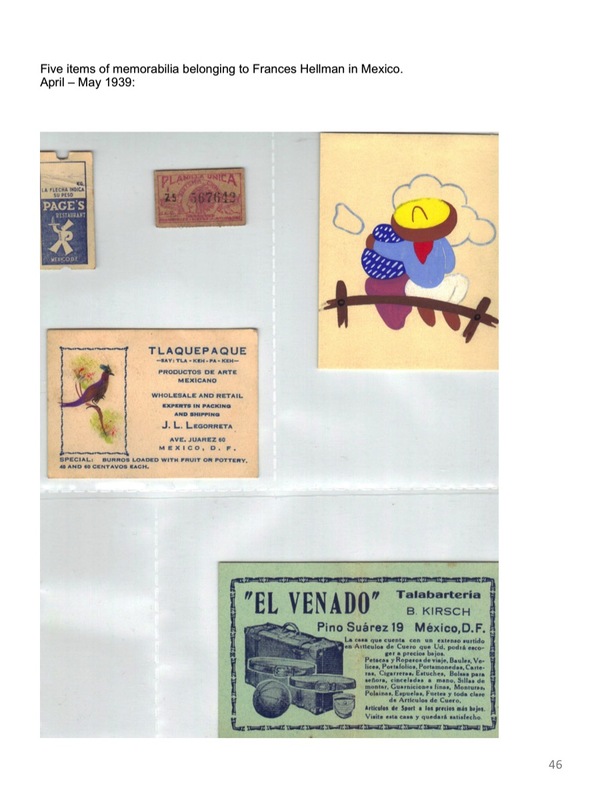 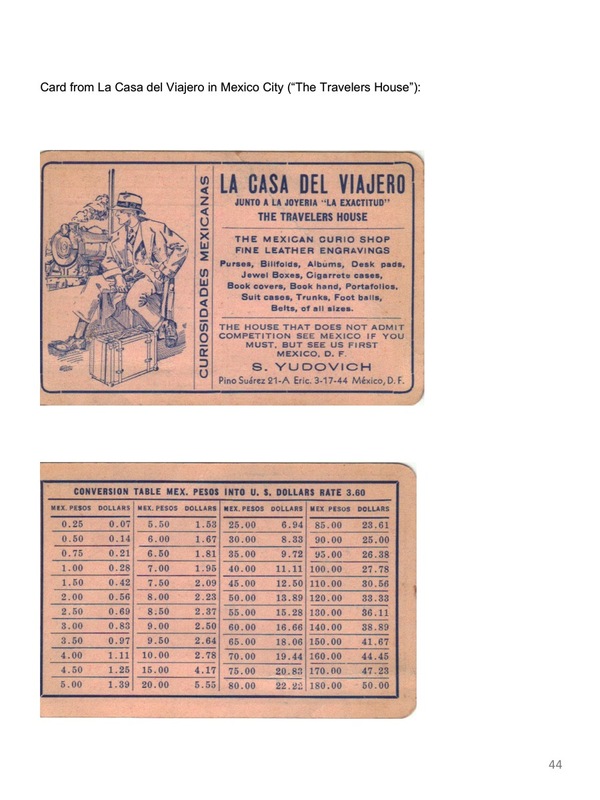 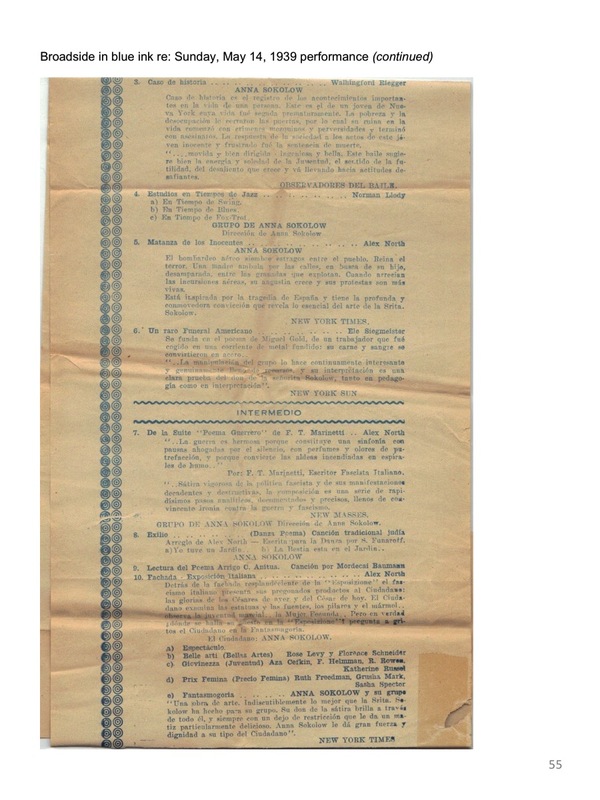 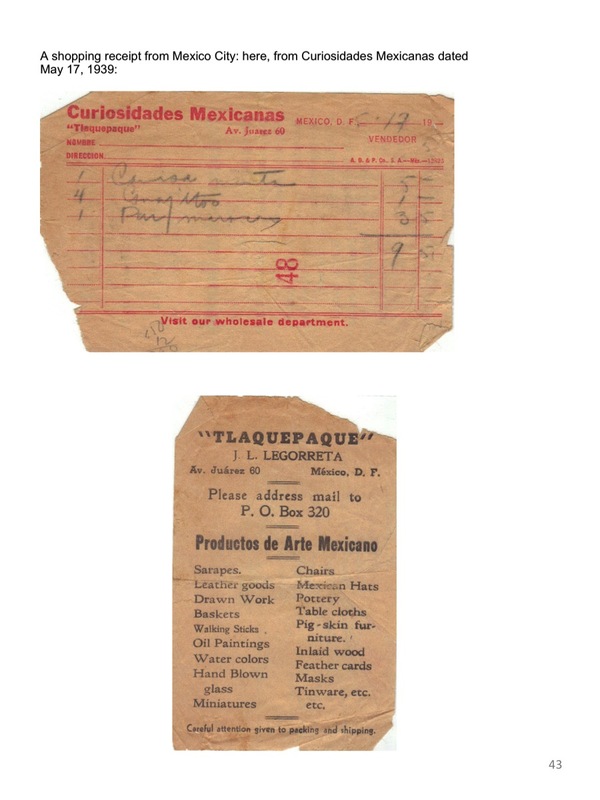 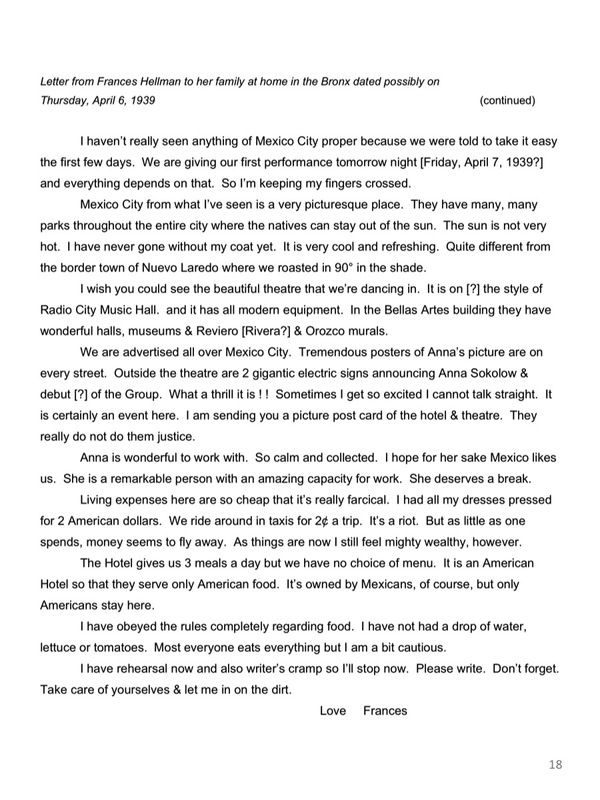 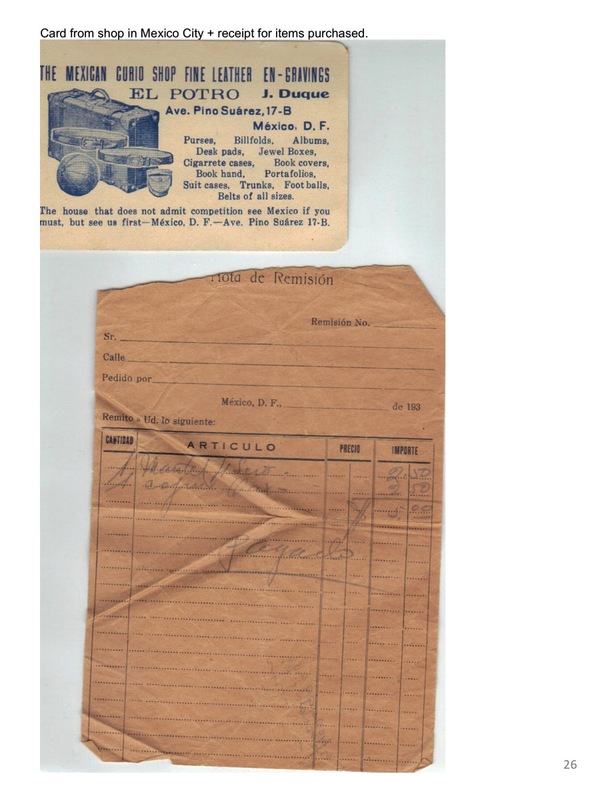 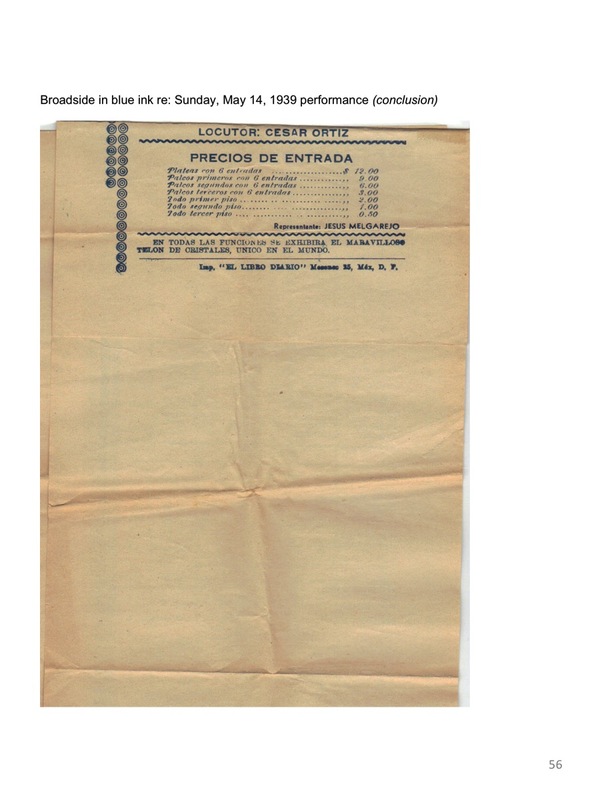 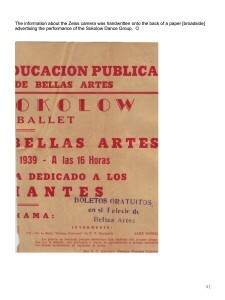 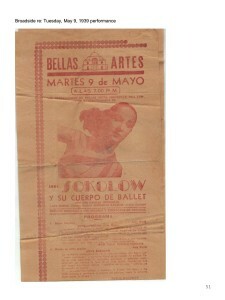 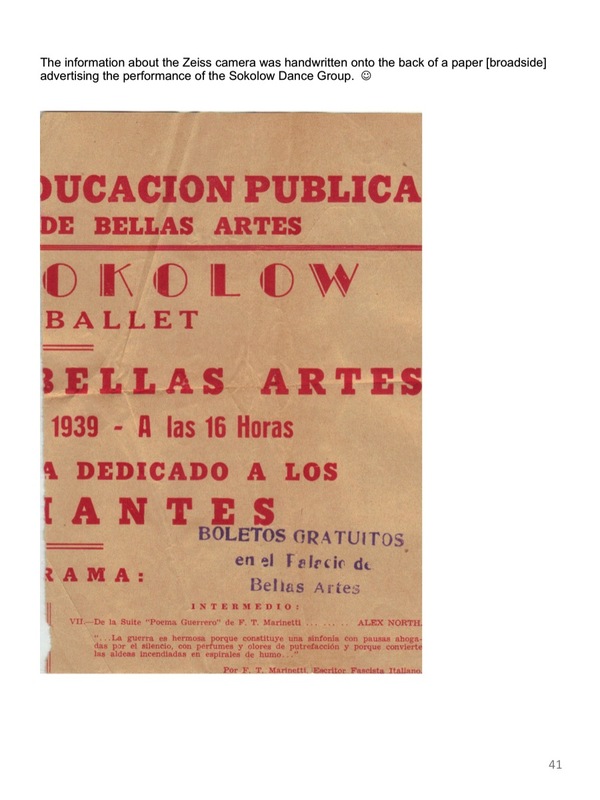 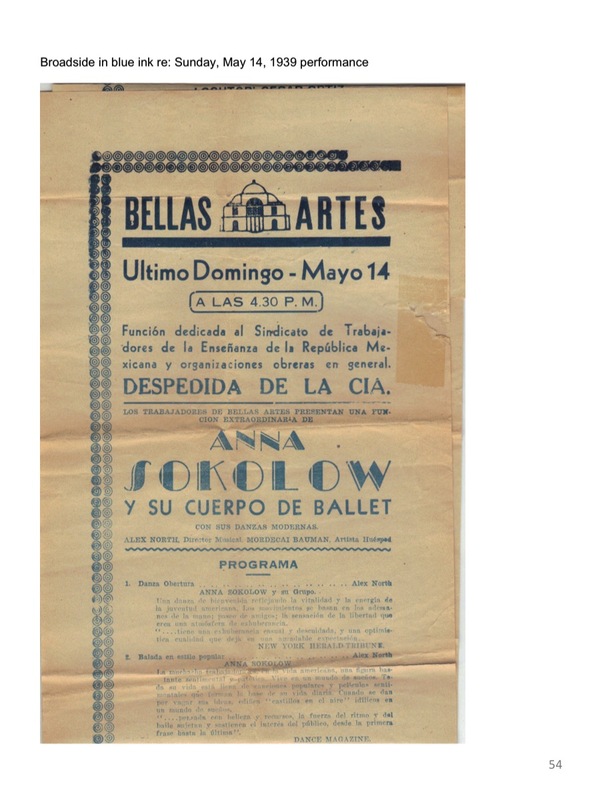 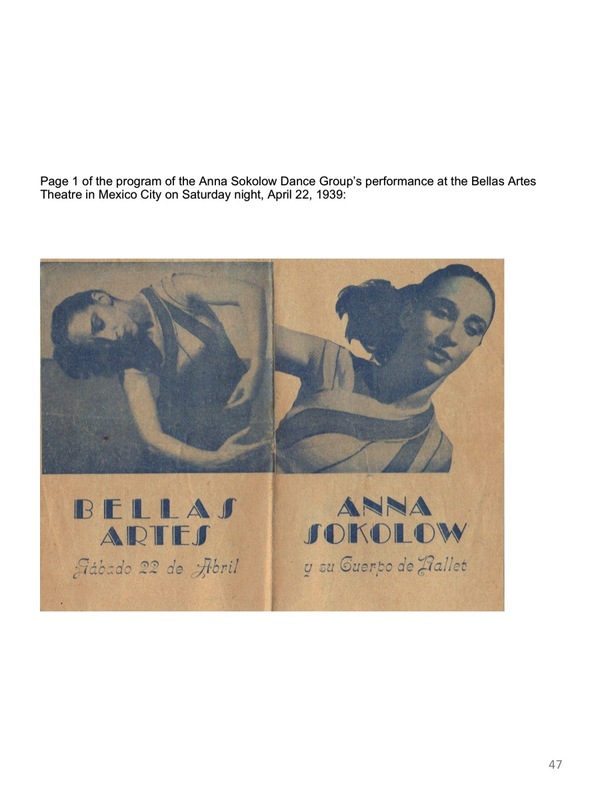 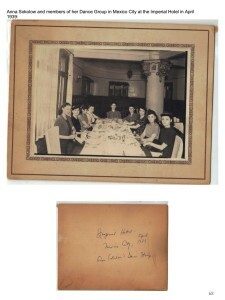 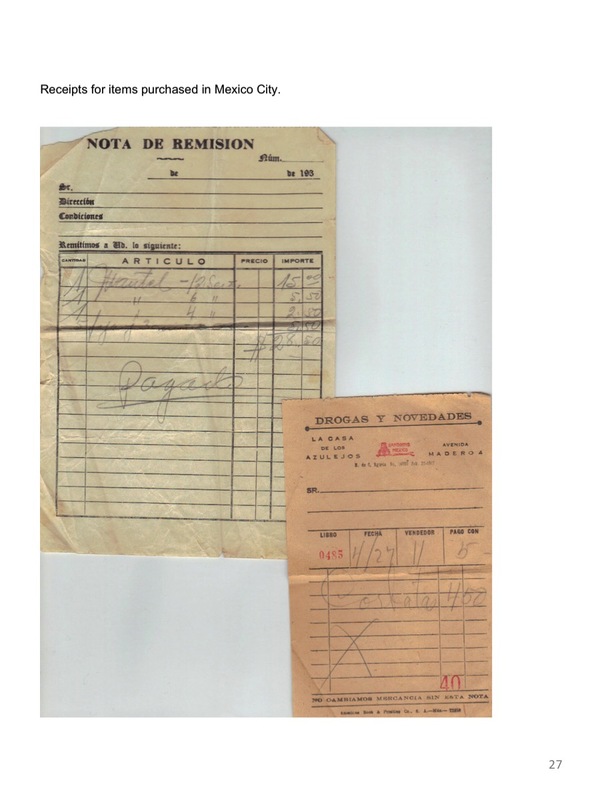 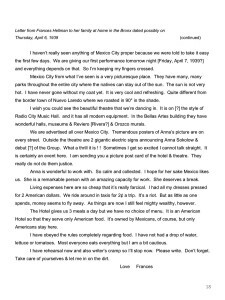 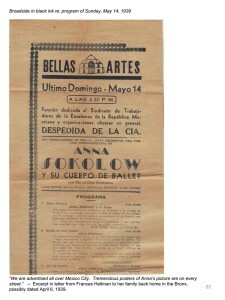 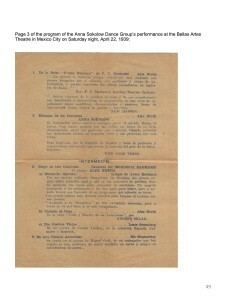 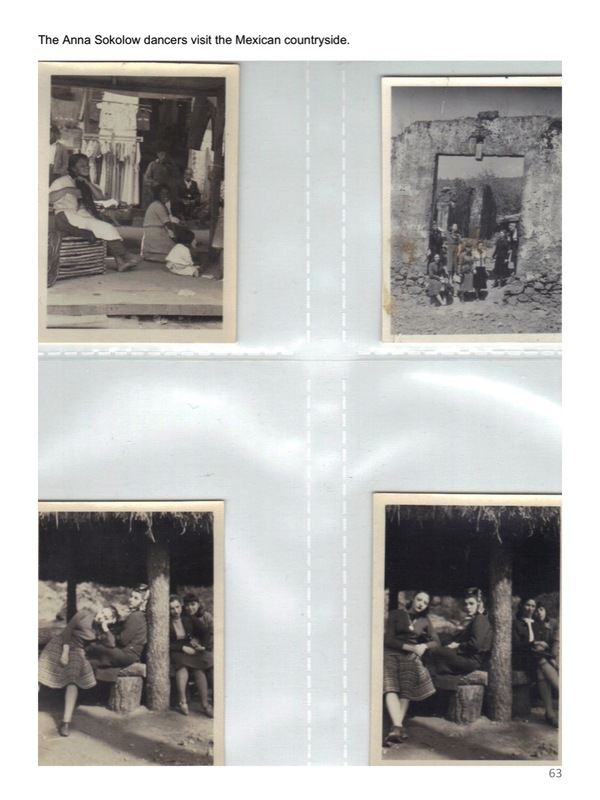 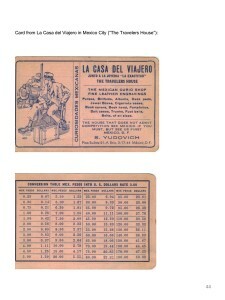 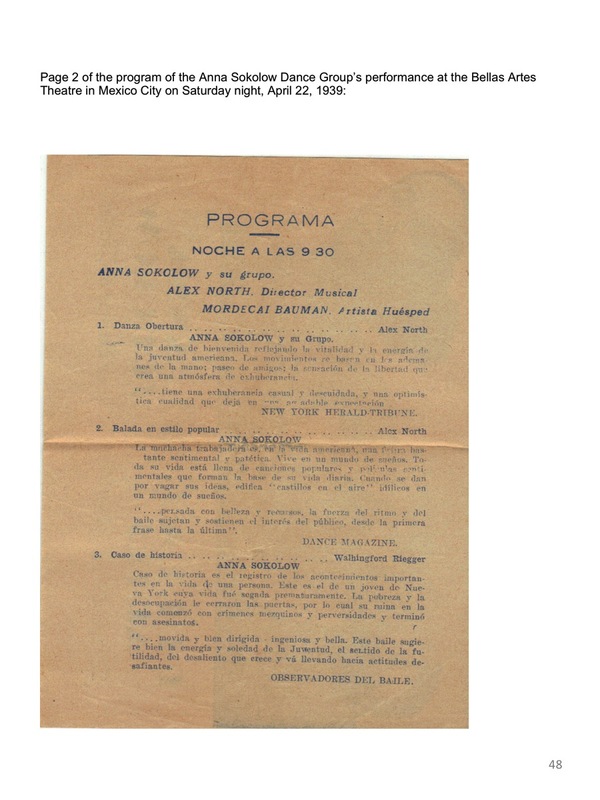 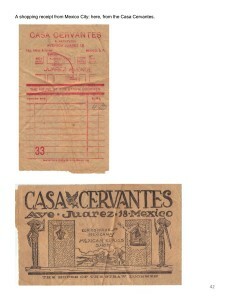 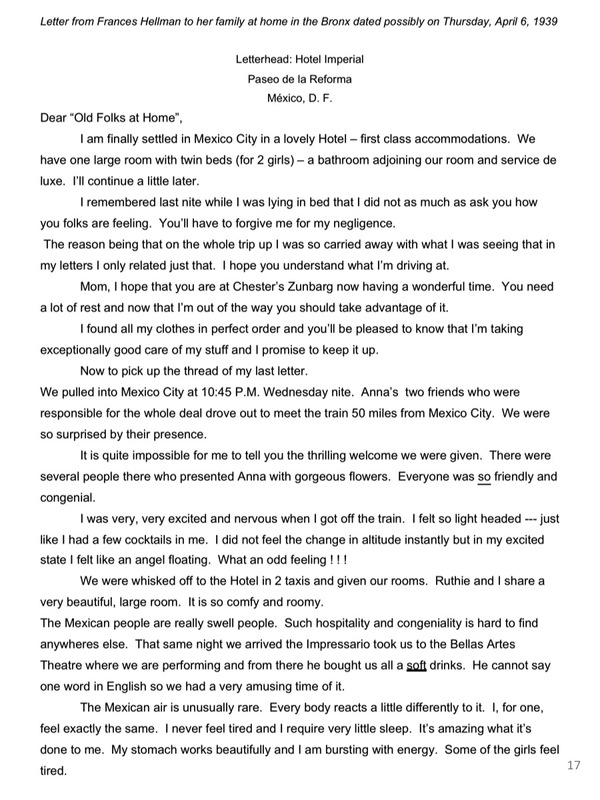 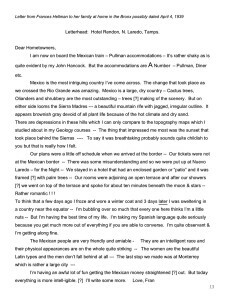 These documents give new, exuberant, and inspiring insights into Anna Sokolow company’s trip to Mexico in April-May 1939. 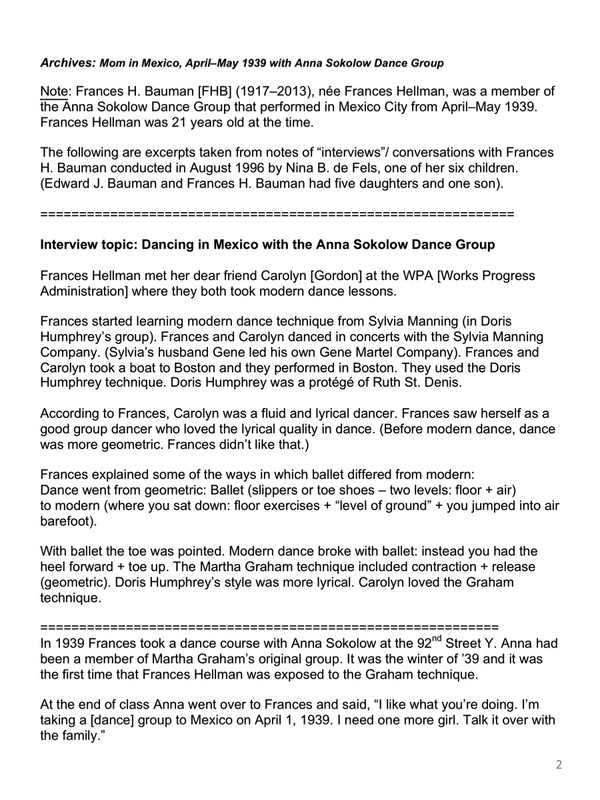 Up to that point the only American Dance company that had toured outside the US was Denishawn which gives this diary historical significance in American dance. 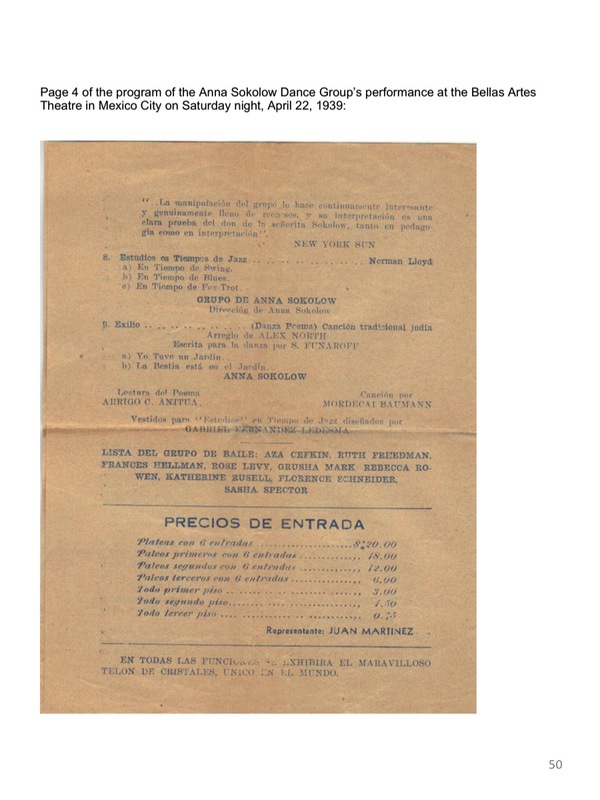 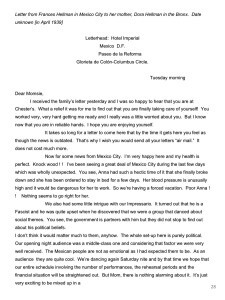 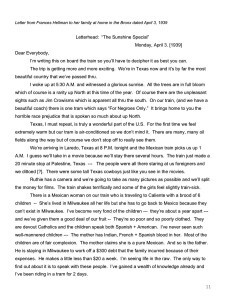 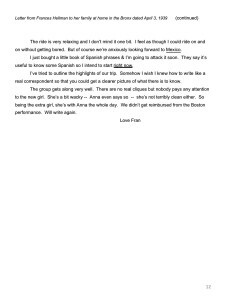 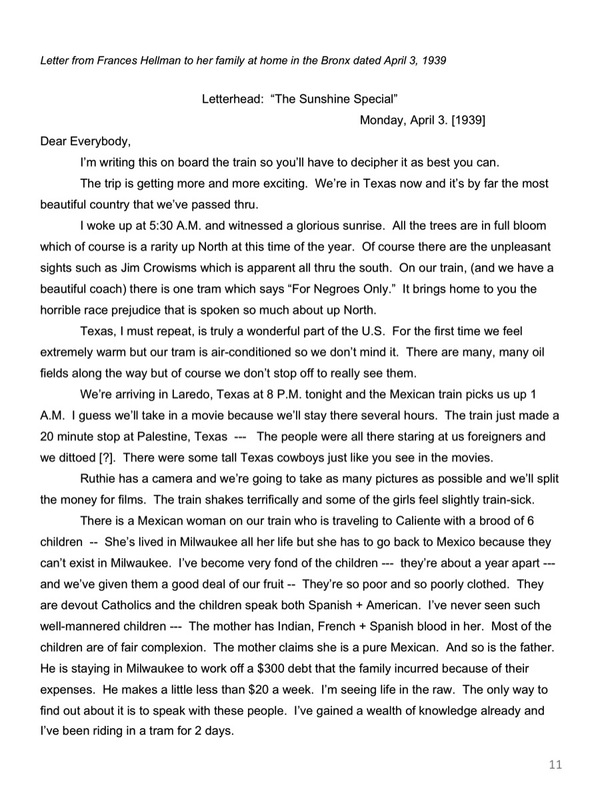 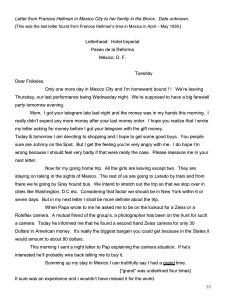 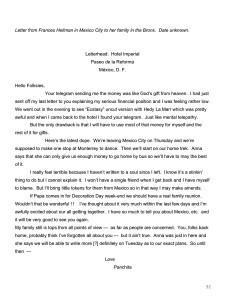 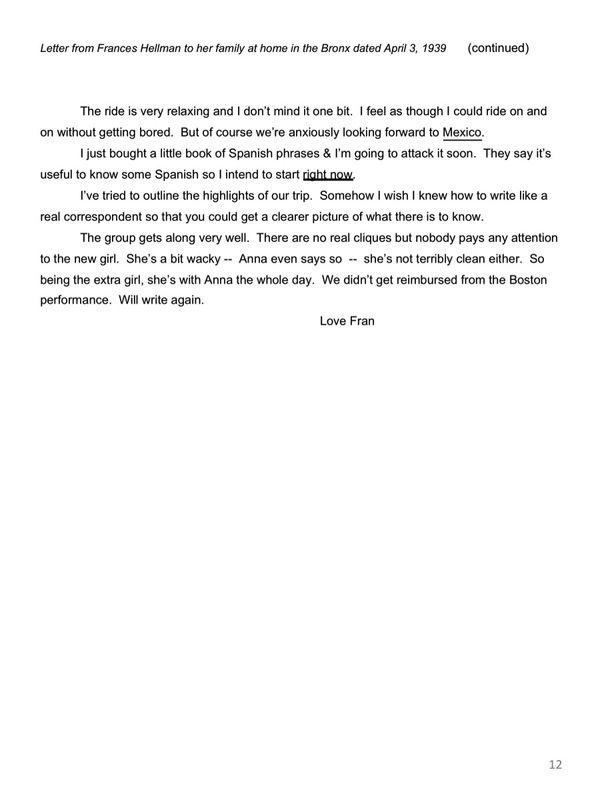 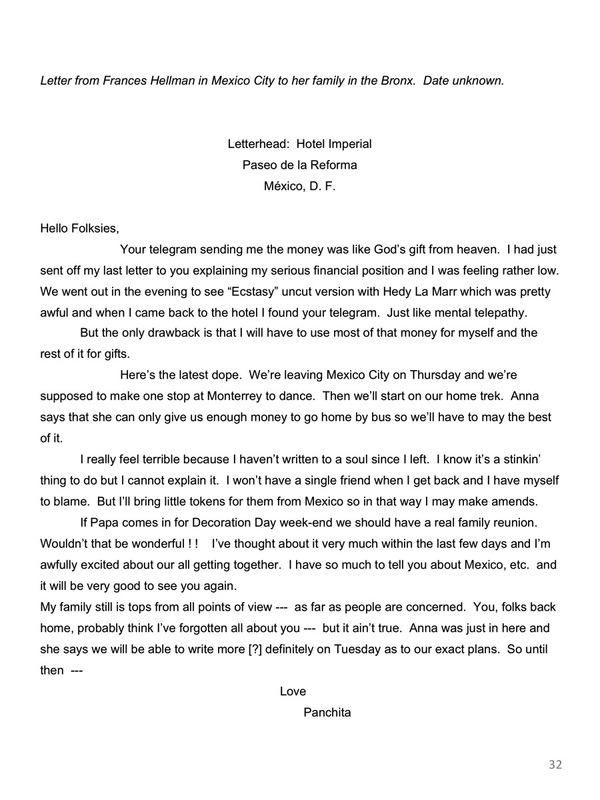 The contract with Mexico did not include train fare beyond their border so Anna went to the Lewisohn sisters at the Neighborhood Playhouse for financial help. 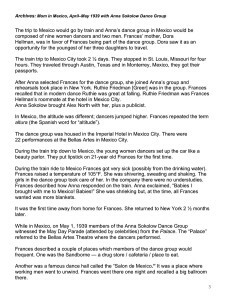 They supplied just enough money to get the group to the Texas border where Anna was assured the Mexican government would take over. 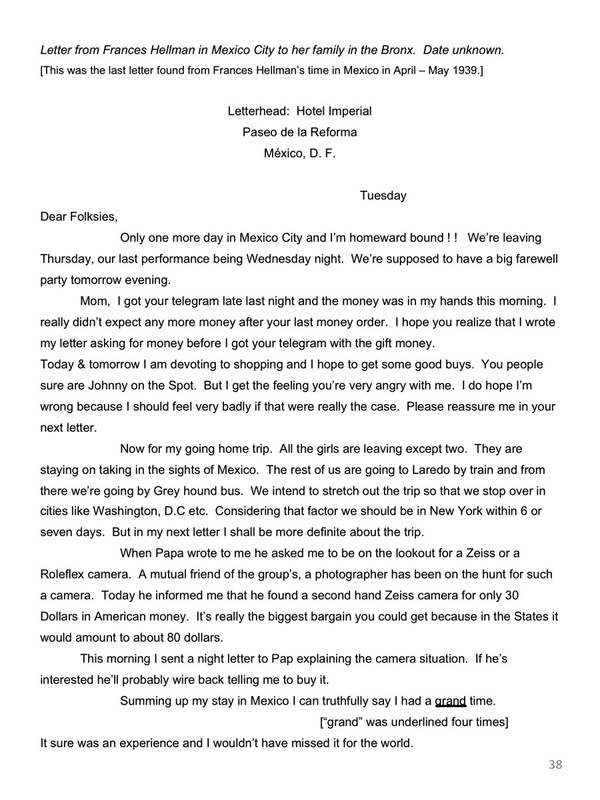 An extremely risky endeavor to say the least. Of course this would be the beginning of a lifetime relationship culminating with Anna being known as the Mother of Modern dance in Mexico. 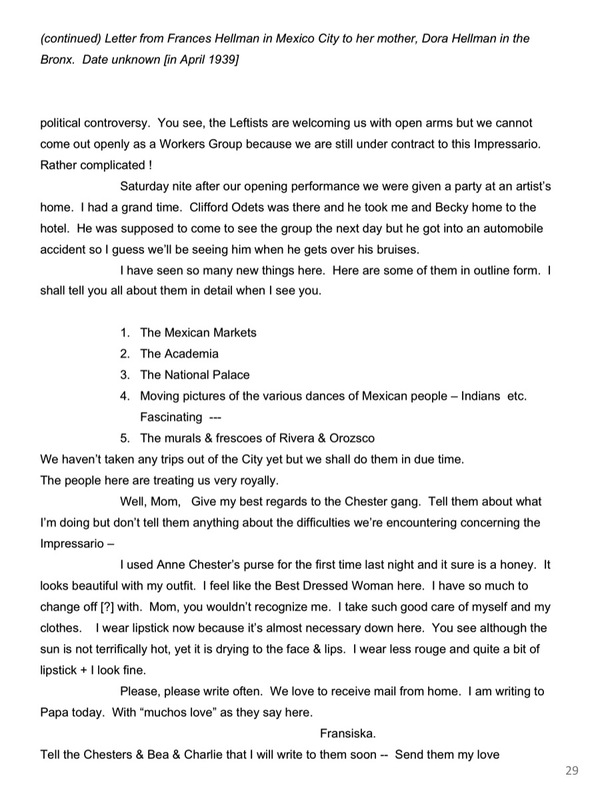 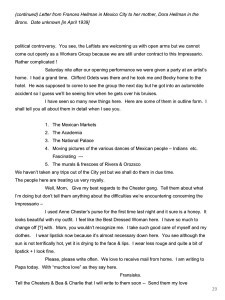 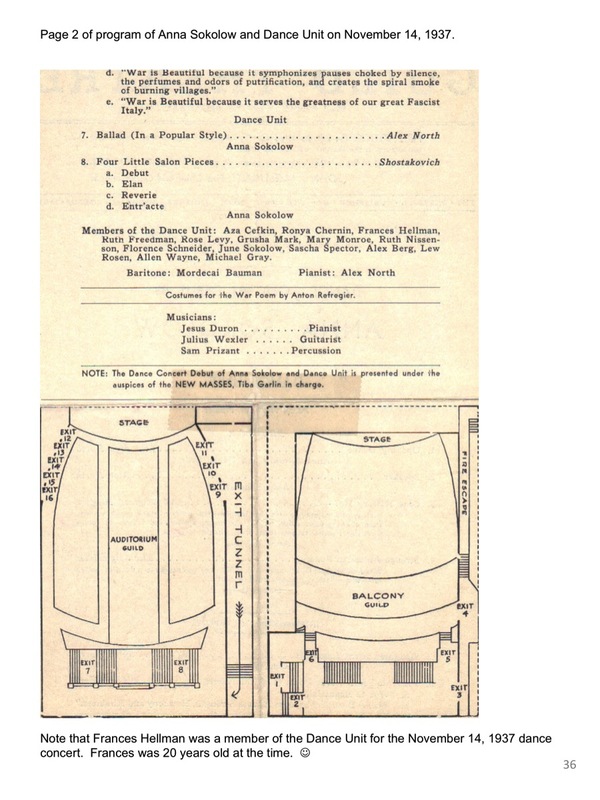 I love the entry where Clifford Odets invites the dancers to his hacienda for an after performance party. 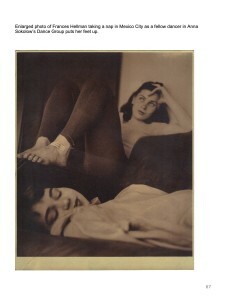 And the pictures make everything come alive. 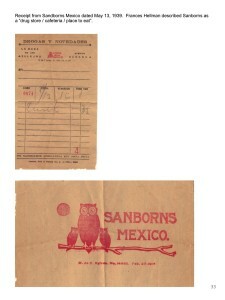 What a find!!! 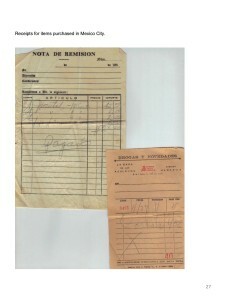 Please note: these documents are copyrighted with the US Copyright Office in Washington, DC. 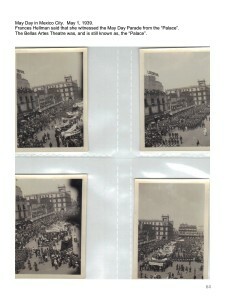 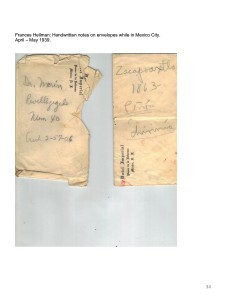 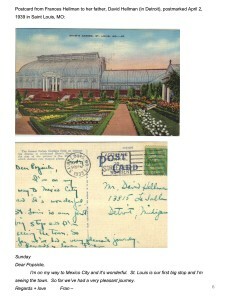 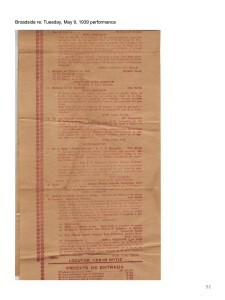 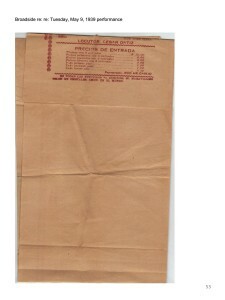 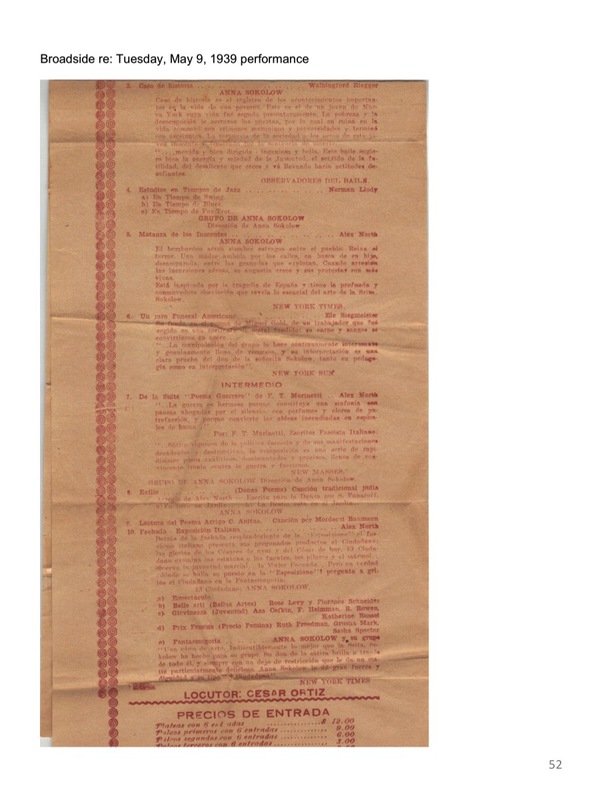 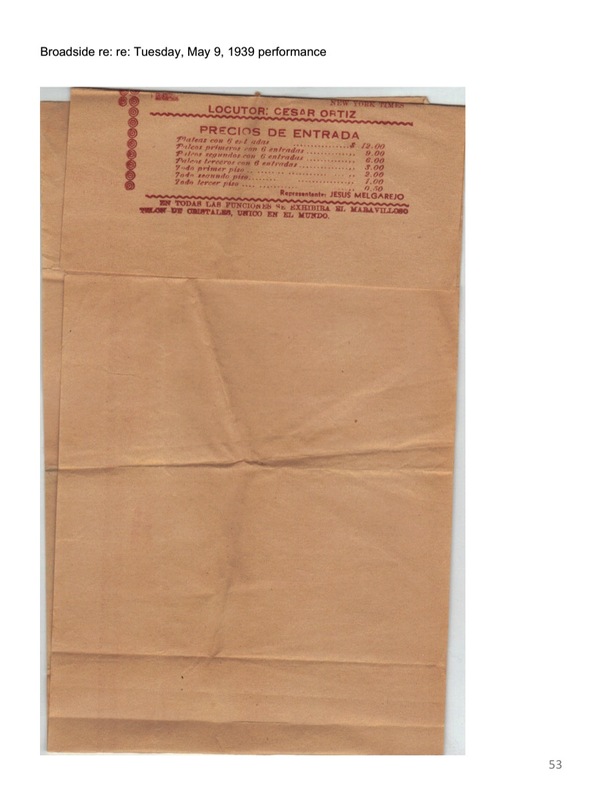 The materials are from the collection of the family of Edward J. and Frances H. Bauman. 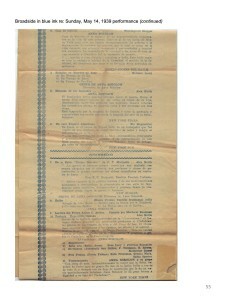 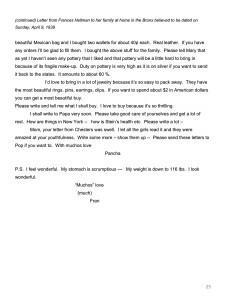 They are provided by the children of Edward J. and Frances H. Bauman who retain all rights. ©2016. 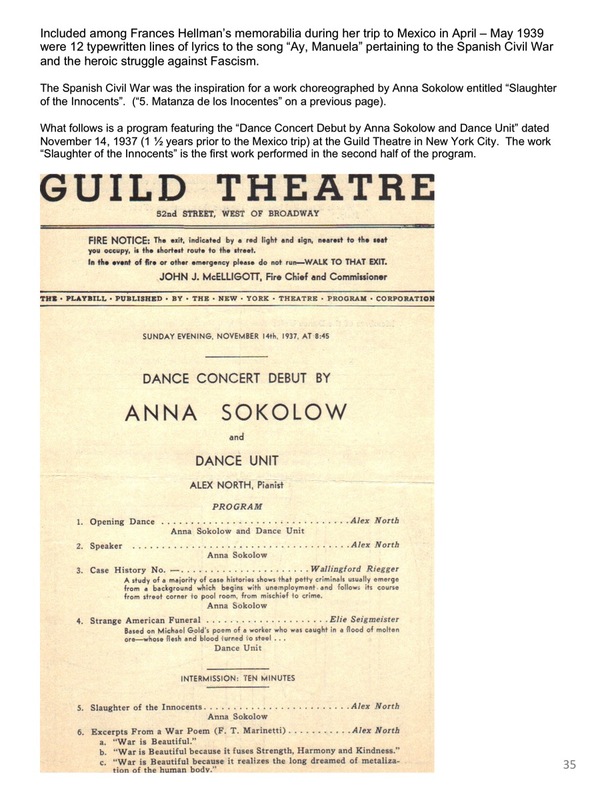 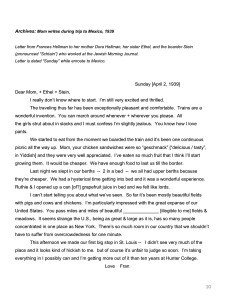 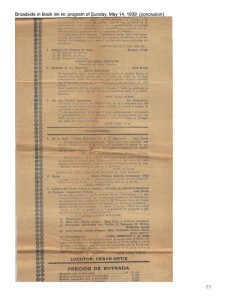 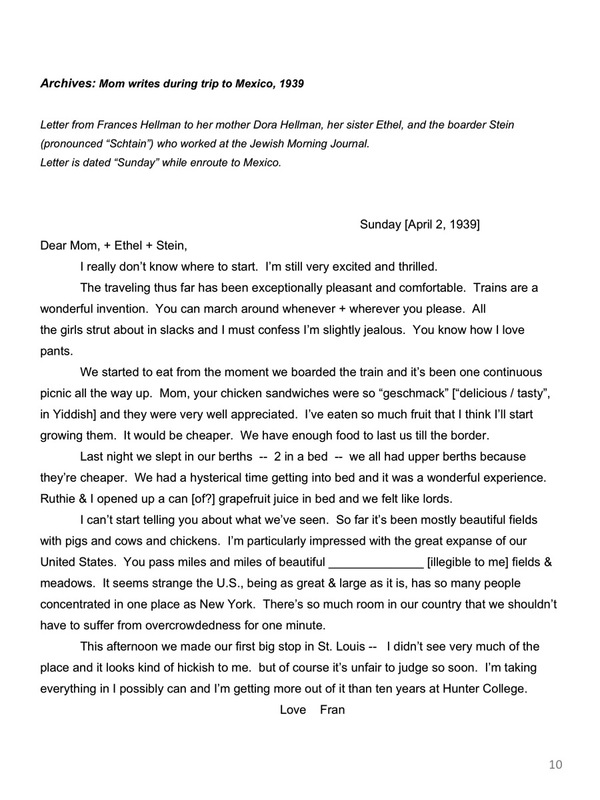 No part of the document read on the Sokolow Theatre/Dance Ensemble website may be used in any shape or form without the permission of the children of Edward J. and Frances H. Bauman.